$21.99 to $39.99 & FREE Shipping on orders over $59 $35. 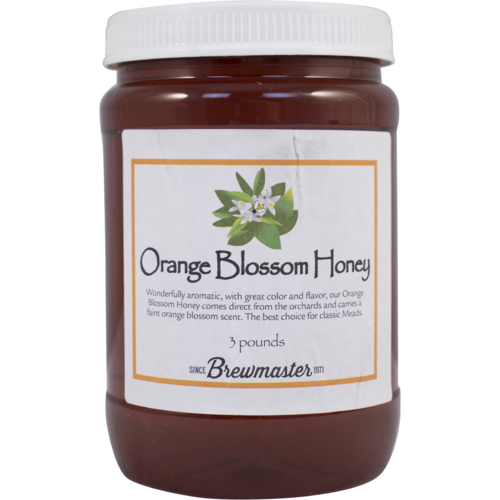 This orange blossom honey is a unique, premium honey for making a one-of-a-kind mead. Considered a very high quality, orange blossom honey should be used for your very best mead creations. It comes directly from orange tree orchards in America and has the unmistakable floral aroma of orange blossoms. By far, one of our favorite honey for meads. Click here for a PDF of the MoreWine Mead Making Manual. Honestly, it's cheaper than buying local honey. And I can't find local orange blossom honey. Best mead making honey there is IMHO. Making mead with this for first time. Will have to see in 6-10 months how it turns out. One of the better honies I have used for mead.